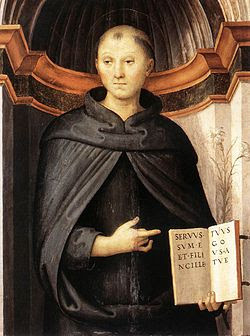 Nicholas of Tolentino, 1246 – 1305, Patron of Holy Souls. Nicholas Gurrutti was born in Pontano, Italy, the son of parents who had been childless into middle age. Aged 16, Nicholas became an Augustinian Friar. He was ordained aged 25 and soon became known for his preaching and teachings. On account of his kind and gentle manner his superiors gave him the task of daily feeding of the poor at the monastery gates. At times he was so generous that the procurator begged the superior to check his generosity. Nicholas worked as a peacemaker in a city torn by strife. He ministered to his flock, helped the poor and visited prisoners.